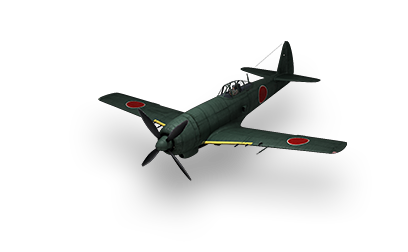 Developed for the Japanese Air Force as a promising fighter based on the results of military use of the Ki-43 and Ki-61. 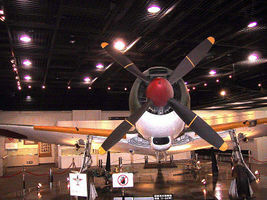 The Ki-84 was considered the best mass-produced Japanese fighter during World War II. Over 3,500 aircraft were built. One of the best turn times of all Tier 7 Aircraft. Great overall maneuverability. Can dominate in a furball. 30mm guns make it viable against Ground Attack craft. 30mm's have good overall stats. 20 less HP than the A7M. Can easily get shredded by defense craft due to low health if the pilot is not careful. 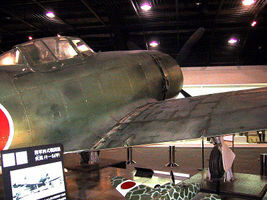 The Nakajima Ki-84 Hayate (キ84 疾風"Gale"?) 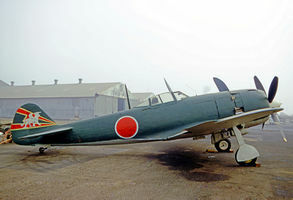 was a single-seat fighter used by the Imperial Japanese Army Air Service in World War II. 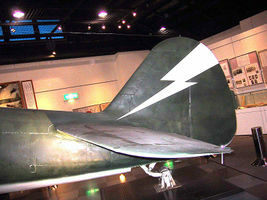 The Allied reporting name was "Frank"; the Japanese Army designation was Army Type 4 Fighter (四式戦闘機 yon-shiki-sentō-ki?). 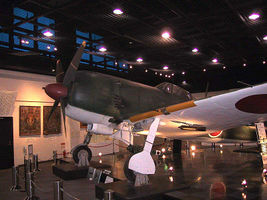 Featuring excellent performance and high maneuverability, the Ki-84 was considered to be the best Japanese fighter to see large scale operations during World War II. 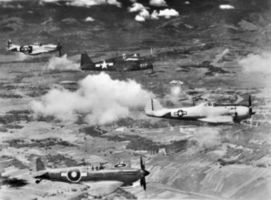 It was able to match any Allied fighter, and to intercept the high-flying B-29 Superfortresses. Its powerful armament (that could include two 30 mm and two 20 mm cannon) increased its lethality. Though hampered by poor production quality in later models, a high-maintenance engine, landing gear prone to buckle, inconsistent fuel quality, and a lack of experienced pilots above all else, Hayates proved to be fearsome opponents; a total of 3,514 were built. The Ki-84 was the fastest fighter in the Imperial Japanese military if good fuel was used and the aircraft was in good shape. 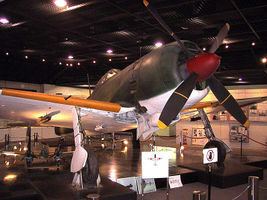 Ki-84 Hayate (Frank) preserved in California in 1970. 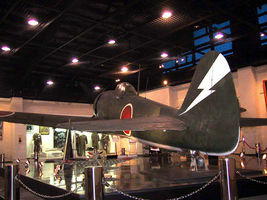 As of 2014, this aircraft is displayed at a war memorial in Japan. Ki-84s and Ki-43s photographed on a former JAAF base in Korea post-war. 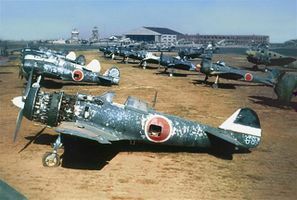 The Ki-84 in the foreground is from the 85th Hiko-Sentai, the next one in line belonged to the 22nd Hiko-Sentai HQ Chutai. The Captured Nakajima Ki-84 models fitted with engines exceeding 1,800 horsepower could surpass the top speeds of the P-47D Thunderbolt and the P-51D Mustang at 6,000 m.
This page was last modified on 20 September 2018, at 15:53.